Happy Saturday, friends! 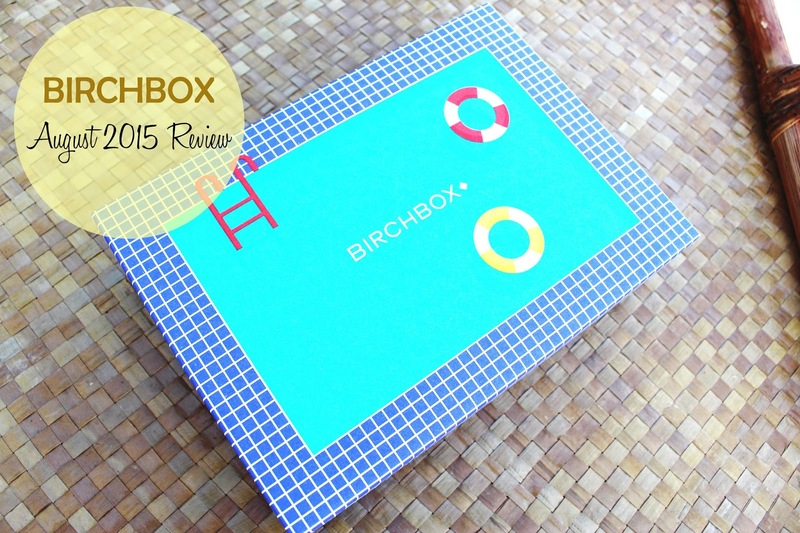 It's time for my monthly Birchbox unboxing! Honestly, I love Birchbox. It's like getting a present in the mail every month. And no one sends snail mail anymore, so it's really the next best thing. 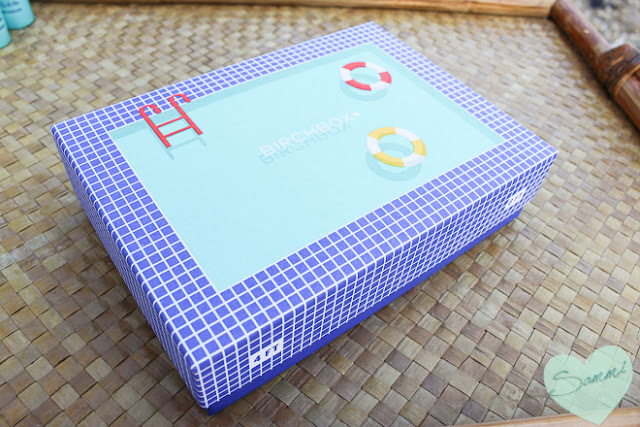 I'm obsessed with the adorable new Birchboxes. I can't bring myself to throw them out! What I'm going to do with them, I have no idea, but they're so much cuter than the plain ol' cardboard ones (as seen in my January review). 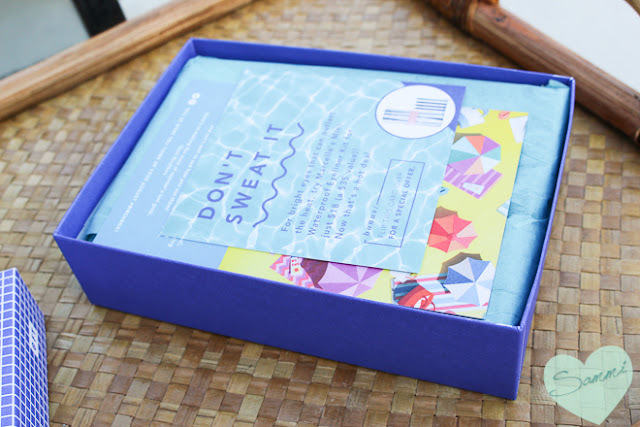 This month's theme was "Soak it Up," which is all about taking advantage of the final days of summer. Usually, the products in the box don't really correlate to the theme in my opinion, but I actually think some of them fit in this month. A+++! 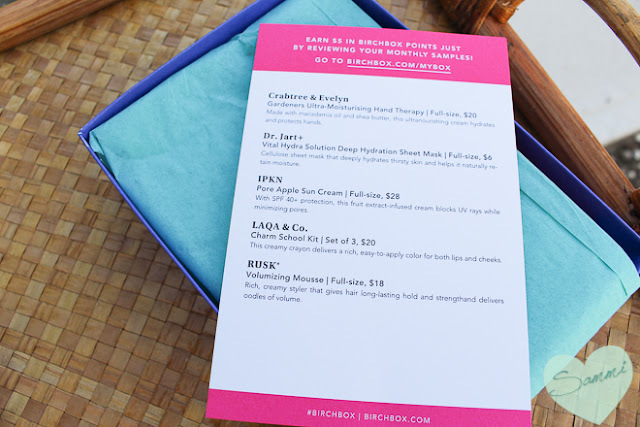 Since restarting my Ipsy subscription (I know, everyone gasp), I've grown to appreciate this little info card even more. It's just so convenient! It tells you the full name of the product, the cost, and how to use it. What more could you want? (Well, I mean, I could use a million dollars, but for an info card I'm satisfied). When I logged on to my profile this month, my sample choice was nowhere to be found. I chose the Coola Makeup Setting Spray when the email came out last month, but it wasn't on their website. I thought grimly, I guess I'll have to send an email to customer service when I get my box, but much to my surprise, I didn't have to! 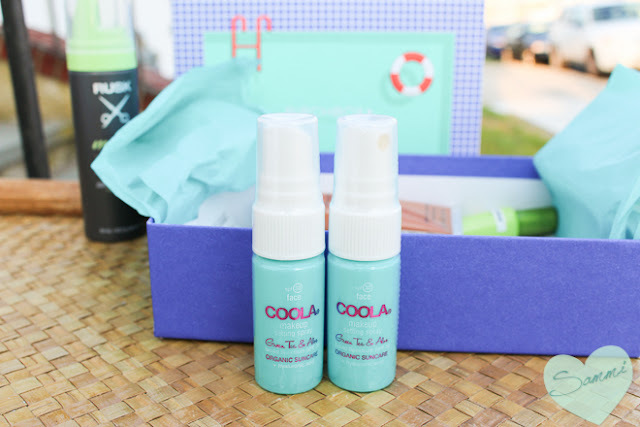 Not only did I get my Coola sample, but I got two of them! I guess there was some kind of glitch in the system. Oh well, that works for me! 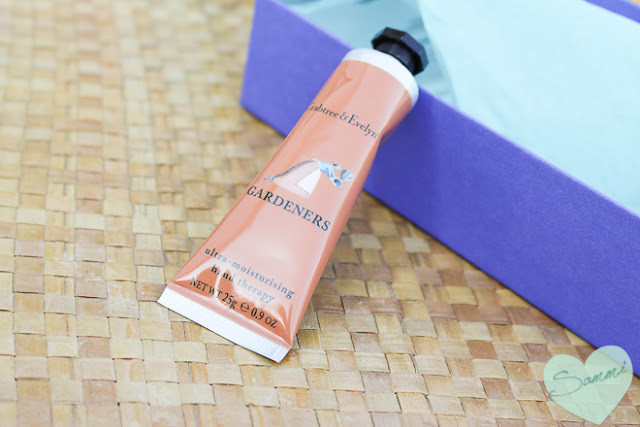 This hand cream is described to be for "the hardworker who is in (or out) of the garden." How specific! But as someone who works with their hands, I can always appreciate another hand cream! This one contains macadamia nut oil and shea butter, so it sounds like it'll be moisturizing. Will it be better than my beloved Perlier? Only time will tell! I'm so good at maintaining a good, daily skincare routine. I've really got it down. 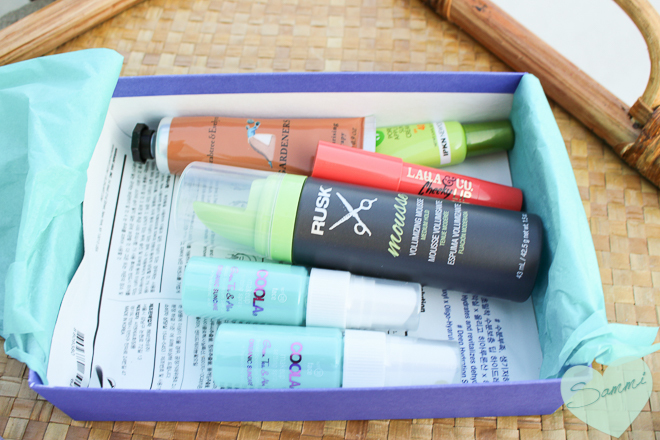 But when it comes to weekly things like treatments and masks, I always forget to use them! 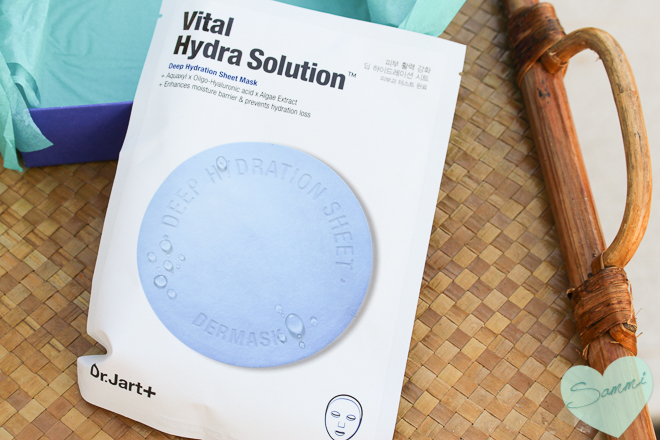 I really like Dr. Jart as a brand (I've never tried a product I didn't like) so I have high hopes for this hydrating sheet mask. 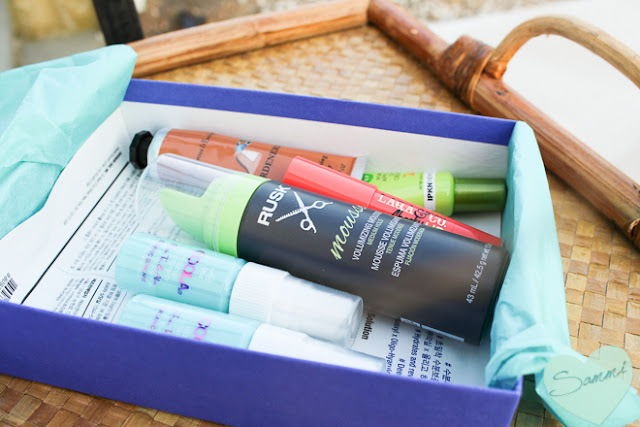 I actually received another Dr. Jart product in June from Birchbox, but this is one of those brands where I could get a product every month and be happy. I just really need to hurry up and use it already. I'll make a note to use it on my next day off. A moisturizer with SPF 40? Sign me up! I've never heard of this brand before, but after some research, I learned a bit about them IPKN stands for Independent Professional Korean Newyorker. They only have about 300 likes on Facebook, so I'll say they're pretty new. This is a nicely sized sample, so it'll give me enough time to see if I like it. Three cheers for LAQA&CO! 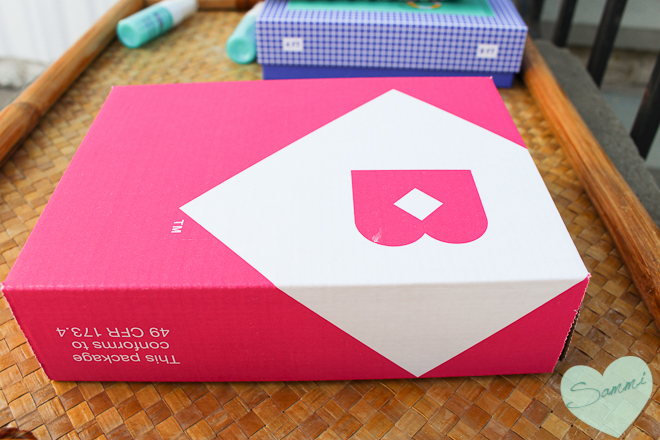 I received one of their lip pencils in a Birchbox last year and really liked it, so I'm happy to see them again. 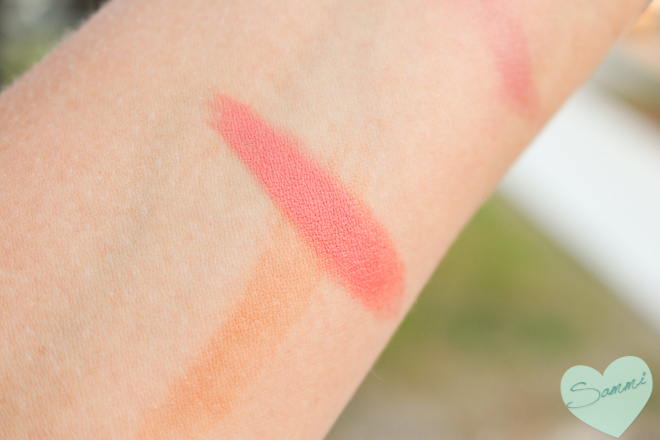 This is a double-duty creamy pencil that can work as a lip or cheek color. It kind of looks like the Clinique Chubby Sticks, if you're seen those around. Like the Stila Convertible Colors (my favorite things), it looks a little too dry and matte on the lips for my taste, but I'm really liking it on the cheeks so far! This pinky-coral shade is awesome for summer, so I'll be wearing it a lot until it starts to feel like fall. Here's a swatch. 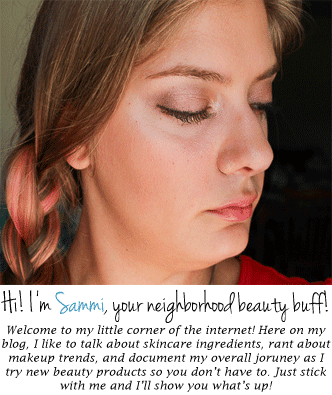 Ignore the brown vertical line below it--things from my Sally Hansen Airbrush Legs review got a little messy. 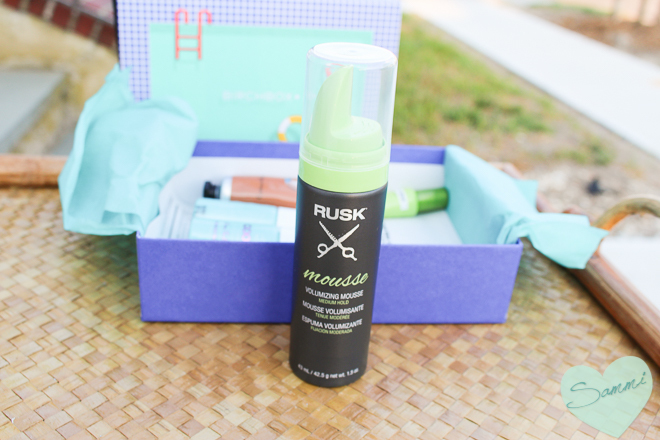 I received the Rusk Texture Spray back in December's Birchbox, but I gave it to my mother, so I don't really know if I like this brand or not. I'm always a fan of more volume, being a straight-haired gal. But since this product wants you to apply it before blow-drying your hair (which I don't do), I passed this along. I'm just not a fancy hair person--I always let it air dry. I don't have the patience to do my hair and makeup! In case anyone's curious, my mother used this and said it gave her more volume, so I guess it works! 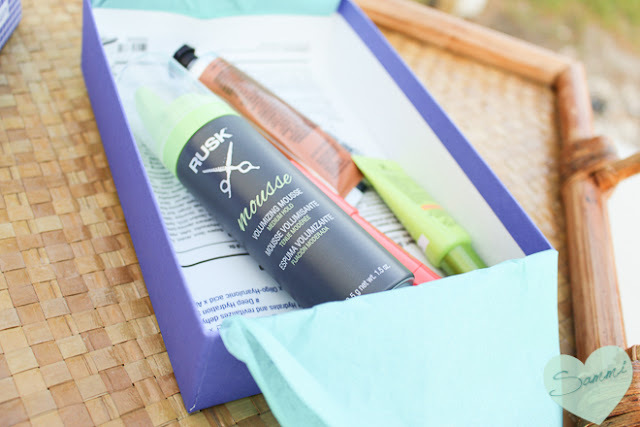 Just don't use too much--it'll make your hair sticky (like if you put in too much hairspray). My sample choice! It's here! This is a setting spray, so you spray it on your face after you finish applying your makeup and it'll increase the staying power. So far I think I prefer the L'Oreal Setting Spray from my Target Beauty Box, since these have drying alcohols in them, but they seem to work well. My eyeliner lasted all day when I tried these, which doesn't usually happen. Personally, I wouldn't rely on these for my sole sun protection. I usually like to layer a moisturizer with SPF underneath, just in case. I'm honestly pretty stoked about 5/6 of the products in here. But I'm always happy to have more daytime moisturizer, because skincare is expensive. I just don't use hair products that aren't shampoo, conditioner, or detanglers. Apparently it works though, thanks to Mom the Beauty Buff. This was a pretty good box for me! I'll get use out of almost everything in here, and my mom got a new hair mousse out of it. I definitely consider this box a win, and worth the $10 I paid (considering it's worth almost $40). What about you?